With Spring on our doorstep (Northern Hemisphere people of course!) and summer around the corner, I thought I would share my 10 MUST HAVE things that make frolicking in the sun with my family much easier. Full disclosure, while a couple of the things on this list I did review on the blog, not one company is behind this list. 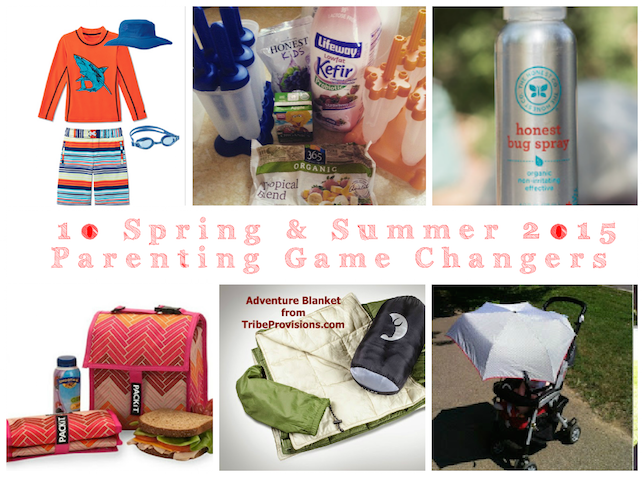 The following 10 things are 100% MY FAVORITE SPRING/SUMMER 2015 PARENTING Game Changers! 1. A waterproof travel blanket for trips to the park, firework shows or late nights at a friend's house with a cold sleepy kid. Look for a blanket that fits in the trunk of your car in its own carrying case. 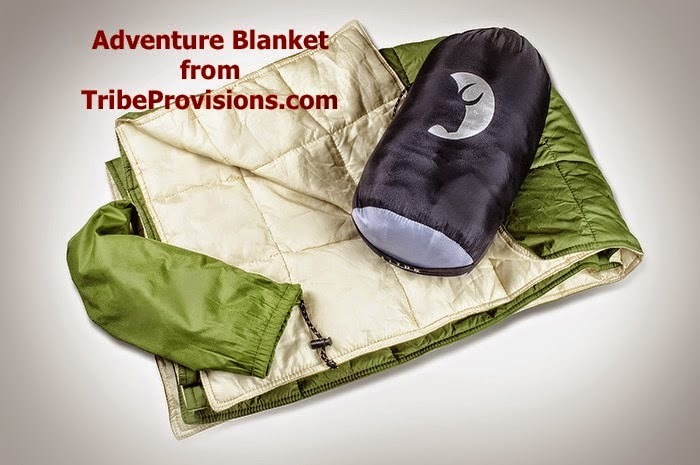 I LOVE the Adventure blanket from Tribe Provisions. It has an attached bag that makes unpacking and repacking a breeze. 2. A small portable cooler bag. 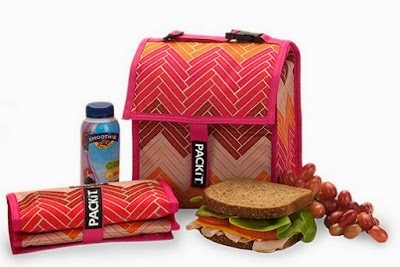 Two years ago I was asked to review the Pack-It cool portable lunch/cooler bags. I nearly passed up the offer, but my sister insisted that she heard great things so I tried it. Since, I have used it more than any one of the things on this list! I cannot recommend enough a bag like the Pack-it cool. Basically, it's a bag that you store in your freezer until you need it. I use the crap out of ours for all kinds of stuff. This bag keeps Popsicles frozen while at the zoo! The best part is that it's cheap $15-50 depending on the size. MOM TIP: Freeze a small washcloth inside of it for cooling off kids, wiping up messy faces and adding an extra level of cold! DO THIS ! They are in stores everywhere. 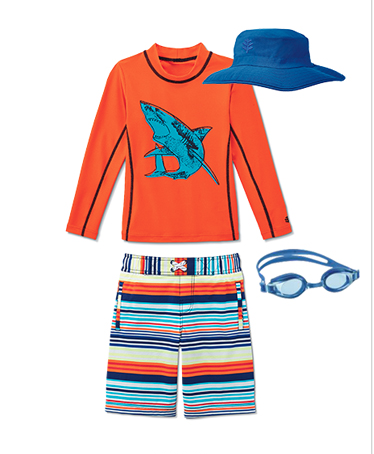 For a store locator click here. 4. Super Safe Bug Spray! With all of our outdoor frolicking, by mid-June if we don't have a great bug spray we become bug food. (SO GROSS!) Bug spray is essential, but after doing the research on safe bug spray for babies/toddlers, I found not many were available. Last summer I fell in LOVE with Honest Company's Bug spray. 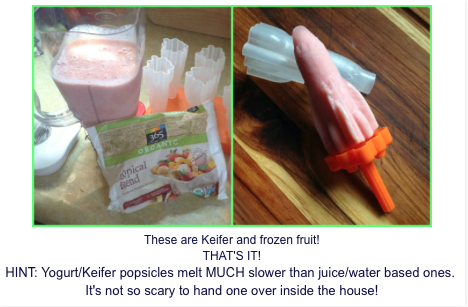 It's super safe for the whole family, yet extremely effective! Even FTD who insisted on using his Deet soaked crap until it ran out, had to admit that the Honest Bug Spray was just as effective, if not more. Now it's the only spray we use! To buy it now, click here! 5. SLAB O' Water! I keep a case of water in my trunk all year long, but especially in summer. I go to Costco, buy the biggest one I can and store it in my trunk. Water is not only essential to fight dehydration, it cleans feet, toys, shoes, hands, scrapes and other assorted kid-mishaps in a pinch! 6. Attachable (Clamp On) umbrella! This one is huge for me. FTD and I both have very fair skin, so naturally, so does my child! 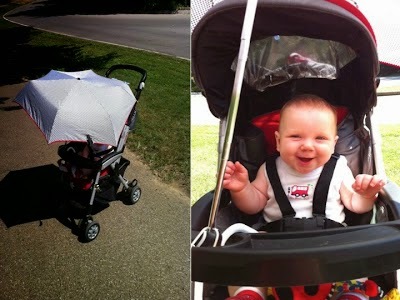 Since Ollie was a little baby I would push him around with an umbrella on his stroller for extra protection. I still do. You can pick them up at Big lots, or Amazon. They are SO worth it! 7. First Aid Kit- Chances are, if you're the parent of a toddler, you're already packing band aids, but with the summer running, jumping, scrapes and falls, make sure you have a full (travel size) first aid kit handy in your bag/car. 9. Sun protective clothing. I swear by UV clothing. It's so worth the investment (about $50) I do long sleeve top and long shorts. It takes the fear out of a long day outside. 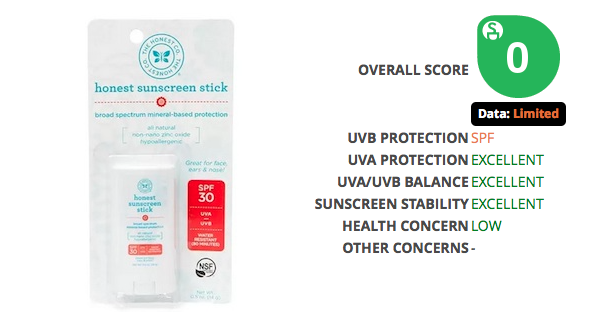 And for those squirmy little ones, I LOVE Honest Company Sunblock stick, It's the best!! To get it now, click here. Are there any products you can't live without?